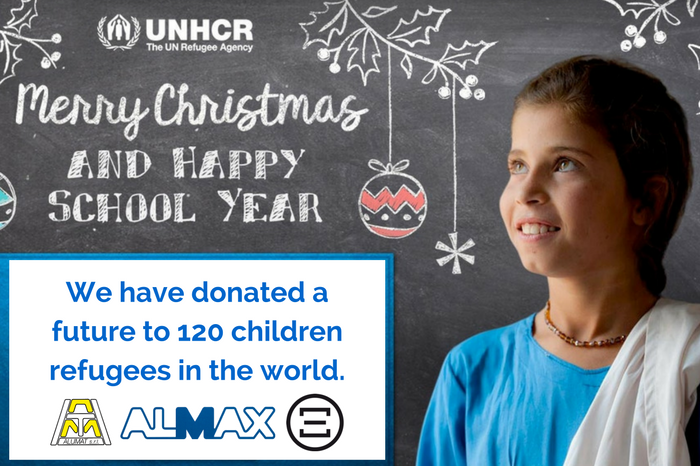 For the second year Alumat Almax Group has chosen to switch on the lights of hope for many children refugees throughout the world. the amount we usually invest in Christmas gifts. Thanks to our donation, 120 children refugees around the world will go to school next year, enlightening their future. Click here to know more about this initiative and eventually contribute! Best wishes for a beautiful Holiday Season & Happy New Year! Cliccate qui per scaricare il report completo dell’iniziativa “Educate a child” con i risultati raggiunti nel 2016 grazie alle donazioni!